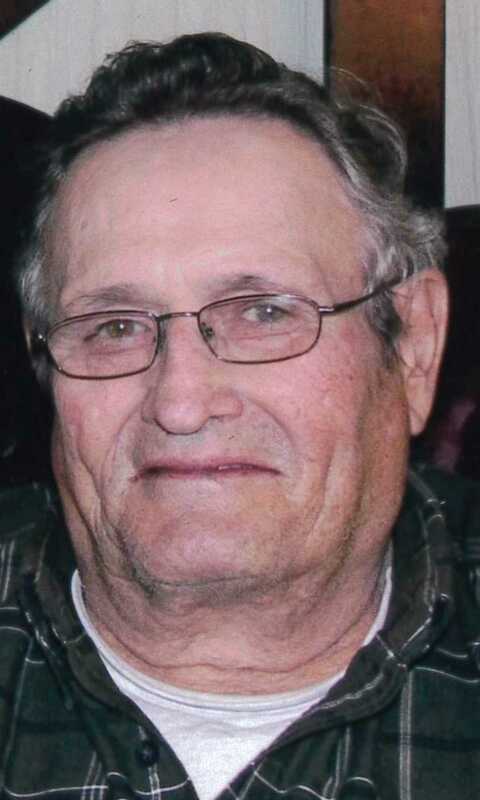 James “Jim” J. Goebel, 80, of Masonville, Iowa, died Tuesday, January 30, 2018. Visitation: 2:00 – 8:00 p.m., Friday, February 2, 2018, Bohnenkamp – Murdoch Funeral Home & Cremation Service, Manchester, Iowa, with Knights of Columbus Rosary at 1:45 p.m. and a 2:00 p.m. Scripture Service. Funeral Mass: 10:30 a.m., Saturday, February 3, 2018, Immaculate Conception Church, Masonville, with additional visitation from 9:00 – 10:00 a.m. at the funeral home. Burial: St. Mary’s Catholic Cemetery, Masonville, with full military rites. Jim was born November 27, 1937, in Manchester, Iowa, the son of Leander and Gertrude (Berns) Goebel. He attended area schools and served honorably in the National Guard from 1958 – 1964. On November 4, 1961, Jim married Barbara Podhajsky at St. Mary Catholic Church, Marshalltown. Together the couple farmed in the Masonville area. Jim was a member of Immaculate Conception Church and a First Degree Knight of Columbus. Jim is survived by his beloved wife, Barb of Masonville; children, Therese (Ed) Guyett of Saint Charles, Illinois, John (Karen) Goebel of Masonville, Mark (Sue) Goebel of Masonville, Julie (Anthony) Fazzari of Thunder Bay, Ontario, Rita (Marty) Wulfekuhle of Strawberry Point, Dan (Danielle) Goebel of Masonville, Scott (Megan) Goebel of Urbana; nineteen grandchildren; two great-grandchildren; siblings, Carolyn (Paul) Sandman of Dubuque, Mary Butts of Cedar Rapids, Ed (Kathy) Goebel of Fairfax, Janet (Jerry) Happel, North Liberty, sisters-in-law, Marty Turnis of Monticello and Edith Podhajsky of Marshalltown, and a brother-in-law, Richard Podhajsky of Vinton. Jim was preceded in death by his parents, Leander and Gertrude; sons, David and Gary; brothers, Ronald and Melvin; parents-in-law, Louis Sr. and Emma Podhajsky; brothers-in-law, Louis Jr. Podhajsky, Lester Podhajsky, Arnold Turnis and Gary Butts. In lieu of flowers and gifts, the family will direct memorials to Jim’s favorite charities.